We went out to eat last night, at a new restaurant in town called Old Chicago. The place was packed! We had to wait around thirty minutes for a table. I know that isn't a terribly long wait but when you've got a toddler it sure is! We got home around 8:15 p.m. After giving Brady a bath and putting him to bed, I was only able to catch the last 20 minutes of The Biggest Loser. By the time I tuned in, everyone was casting their votes. It ended up being a tie vote (Heba, Ed, and Vicky voted for Amy to go home and Renee, Michelle, and Amy voted for Heba to go home) and since Amy lost the least amount of weight this week (5 pounds) she was sent home. Amy Cremen is a 27-year-old cosmetology student from Auburn Hills, Michigan. Amy and her mom, Shellay were my favorite contestants this season. They are now both out of the running for the $250,000 grand prize but are still eligible to win the at-home prize of $100,000. 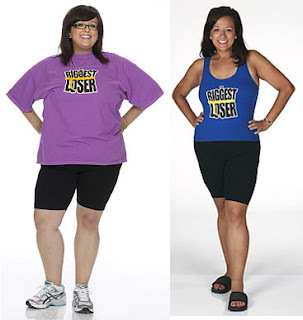 Amy started The Biggest Loser weighing 239 pounds and wearing size 22 clothes. Ten weeks later (and 66 pounds lighter), Amy left the ranch weighing 173 pounds. At the filming of Amy's "Where Are They Now" video, she was wearing size 8 clothes. Amy's goal is to weigh 125 pounds at the show's finale. Following is an excerpt of an article I read online about Amy Cremen. They (Amy and her mom, Shellay) threw themselves into the competition, working out for six to eight hours a day under the supervision of trainers Bob Harper and Jillian Michaels. "Our first day in the gym was a shock," Cremen recalls. "I couldn't even hold myself up for a 10-­second wall squat." During that brutal first week, Cremen felt like quitting. "But I remembered that I was there for a reason, so I continued to give it my all," she says. Before long, she could tolerate the workouts and was amazed when she started looking forward to them. "Now I feel a sense of accomplishment every time I finish one," she says. 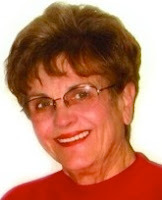 With her favorite vices--Oreos, Mountain Dew, and fast food--­forbidden at the ranch, Cremen learned to count calories (she was limited to about 1,200 a day, says Cheryl Forberg, R.D., the show's nutritionist) and to cook healthy meals. "One of my favorites is lean ground turkey, brown rice, and salsa. It's easy, and one cup has only about 200 calories," ­Cremen says. "I've learned that there is life outside of fast food." Since returning home, Cremen has been working out for two to four hours per day, including one hour of cardio. "Spinning is by far my favorite exercise," she says. She and Shellay, who lost more than 27 pounds, also work out three times a week with their personal trainer. Do you worry about gaining back some of the lost pounds? Maintaining is the easy part! I’m committed to building my body up instead of tearing it down. I still love to eat. But now I count every calorie and try to get as much satisfaction as I can without going over 1,200 per day. I have a philosophy: If I can’t taste it, I don’t waste it. I won’t put cheese on a sandwich if it’s not going to really affect the flavor. Do you still do grueling workouts? I go to the gym at least five days a week, and I hike or swim outside once a week. That’s my relaxing time. I’ll never, ever, ever take three days off from the gym. I went to the gym the other day and ran for only 20 minutes. But I still went to the gym. What’s the best workout for fast results? Whenever Bob and Jillian thought someone on the show was in trouble, I noticed they’d put them on the stairmill. I do 20 to 30 minutes on that, then switch to the rowing machine for 10 more to keep from getting bored. How do you stick with it day in and day out? Any advice? If you start making excuses not to exercise, that’s a reason to change your routine—it’s not a reason to stop working out. Even trainers have trainers, so consider investing in one. Healthy people choose to be healthy. They set themselves up to win. When I started on the Biggest Loser campus, I was a size 22 and now I'm a size 8. Now that I'm home, Michigan State University has been supporting me by giving me use of all of their athletic trainers. Plus, my mom and I are going to do this change together. Now I can just go out there and show the world what I've got. If interested, you can watch Amy and Shellay's profile video here. You can also watch Amy's "Where Are They Now?" video here. I felt really bad for her. It's sad the way the game is being played now. I am glad that the black team was able to beat the blue team this week. I know! I sure wish she'd voted Vicky off when she had the chance.